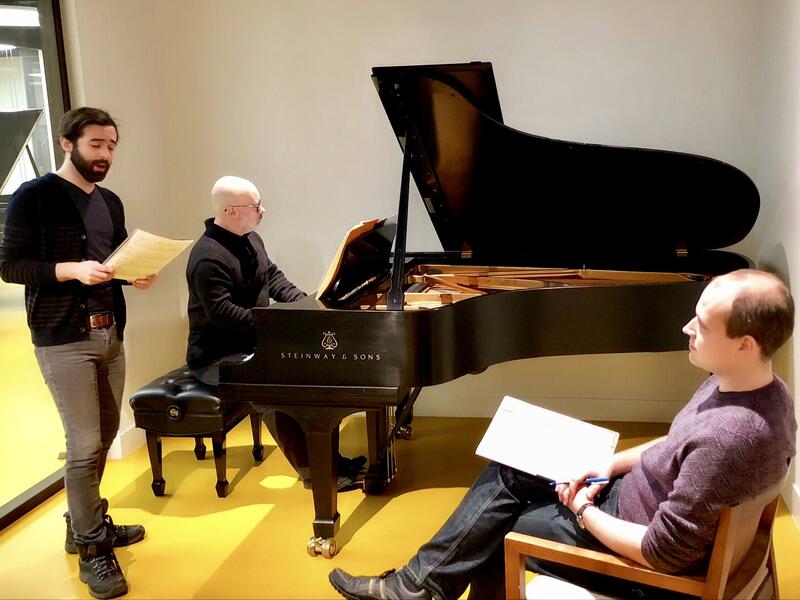 Composer Evan Fein (right) rehearsed his piece with tenor Corey Shotwell (left) and pianist Gerardo Teissonnière at Steinway Hall in New York. Composer Evan Fein studied piano with Gerardo Teissonnière at the Cleveland Institute of Music. Fein now lives in New York and teaches at the Juilliard School. But he and his former teacher share a lifelong love of Schubert’s music that recently brought them back together as collaborators. Teissonnière’s relationship with Schubert’s music goes back to his student days. Even though Schubert wrote plenty of music for solo piano, Teissonnière especially fell in love with his music for voice. In the premiere performance at the Cleveland Institute of Music, Evan Fein's 'Letzte Brief' segued directly into a full performance of Schubert's 'Die Winterreise.' The performance featured English translations along with illustrations by Walter Green. “There is nothing more special than having that collaboration with a singer where we are both presenting the poetry with our sound, with our music,” Teissonnière said. One of Schubert’s most beloved works is “Die Winterreise,” an hour-long song cycle that tells the story of a lonely protagonist wandering through a cold winter’s night after losing a lover. Historians have said the protagonist is likely a stand-in for Schubert himself. Schubert wrote “Winterreise” in the midst of deteriorating health. His last written words were a letter to his close friend, Franz von Schober, in which he asked for a pile of books to help pass the time. It was an odd request for someone with just days to live. 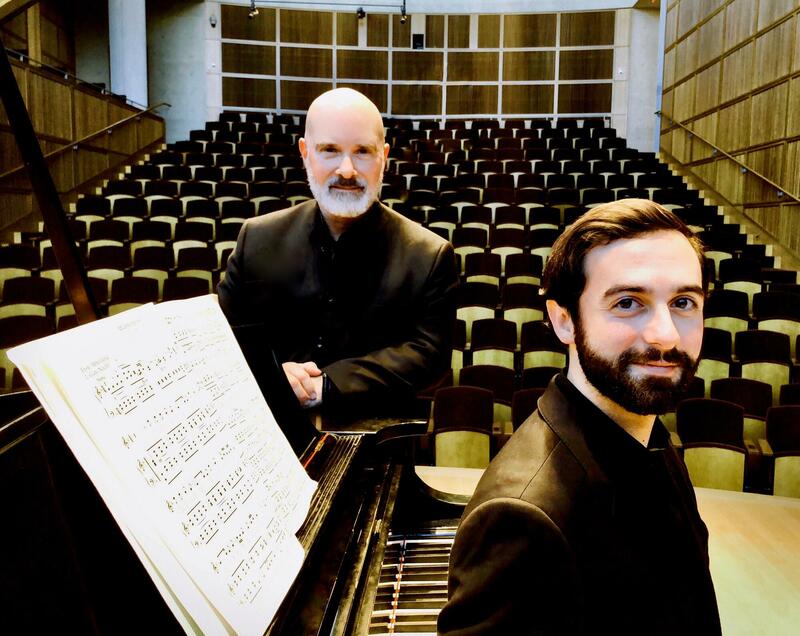 Pianist Gerardo Teissonnière (left) and tenor Corey Shotwell (right) premiered Evan Fein's musical setting of Schubert's last letter at the Cleveland Institute of Music's Mixon Hall. Fein came across Schubert’s deathbed letter to his friend. He decided Schubert’s last written words would be the ideal text for the new song. “If anybody’s going to speak before ‘Winterreise,’ it would have to be Schubert himself,” Fein said. Schubert’s letter wasn’t exactly music-friendly. Unlike the poems Schubert used in his songs, the letter wasn’t written in neat, symmetrical phrases. To make the song sound more conversational, Fein used irregular musical phrases to emulate the spontaneity of everyday speech. But he wouldn’t know how well that worked until someone actually sang his music. Tenor Corey Shotwell recently premiered the piece with Teissonnière at the piano. “He has a great knack for singable melodies, both Schubert and Evan,” Shotwell said. Fein said someone not familiar with “Winterreise” may not notice an extra song at the beginning. Regardless, Teissonnière said the full song cycle is always a special experience for him and the audience. 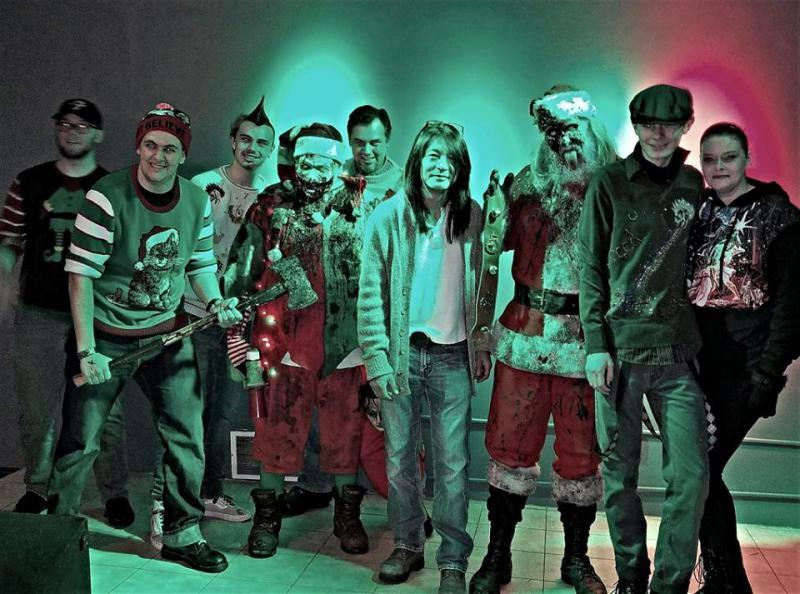 A group of DIY musicians is coming together to help Akron’s homeless tent community. In this week’s Shuffle, WKSU's Amanda Rabinowitz talked to organizers of the Out of the Shadows concert series.